The Arm server market is finally starting to take off. We have seen the first HPC clusters based on Arm processors hit the TOP500 HPC list and how customers have started to use SLES for Arm to move their manufacturing lines into the future. 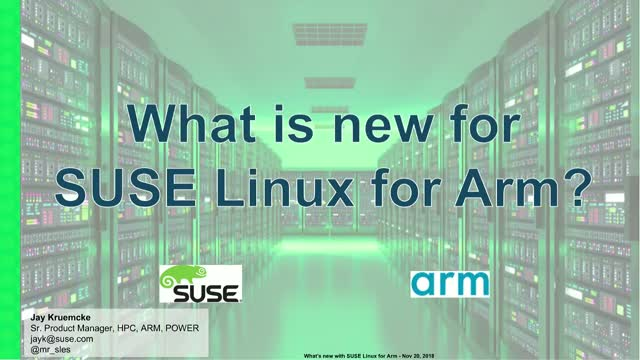 This webinar will review what is new with the Arm industry and how SUSE Linux for Arm can address customer needs from IoT to HPC.